Few days ago, I had an interesting after-lunch discussion with my colleagues. We were talking about our receptionist who is planning to go to Bali. She’s planning to go there alone. My colleagues were disagree with her going to Bali alone. They think Bali is not a very safe place to go, let alone going there by yourself. Since I never been to Bali, I was rather speechless 🙁 I wanted to defend, but I have no solid argument. What I could do was only to utter naive arguments with some rather high dose of optimism. One of them visited Bali many years ago. He do fancy the foods and scenery. But bad moments left permanent scars in his memories. The first scar was stopped by a Police officer in the morning. Apparently the Police officer was hungry and urgently need breakfast. Yes, it’s unbelievable but the officer actually did said those words. So he did give the officer money for breakfast, and the officer let them continue their journey. The second scar was when he was about to return to Singapore with Garuda Indonesia (Indonesia’s National Airline). That time (I think now still is), the flight confirmation need to be done manually. So he did manually confirmed his return to Singapore immediately upon his arrival in Bali. But on the day before his departure day, he somehow feel unsettled. Perhaps all things that happen to him during his stay taught him important lessons on how things are running in Bali. So he called Garuda Indonesia just to ensure the tomorrow’s flight for him and his family. Surprise, surprise, his name nor any name of his family members were not in the confirmed passenger list. Fortunately, he has contacts in Bali. So things are settled once his contacts visited the airline office and ‘negotiated on how things should be done‘. If my first colleague has personally experienced bad things befallen on him in Bali, the other one is luckier as nothing bad happen to him during his recent visit to Bali. Overall, he enjoyed the trip to Bali very much. But he still thinks that Bali is not a very safe place for a girl to go alone. Most of his argument based on the corruption that Indonesia is infamous for. He witnessed in Bali’s airport a Russian tourist picked out from the queue, then led to a ‘small room’. He deduced that the tourist will need buy the immigration officer ‘breakfast’. As we know, Indonesia is now really progressing. The current government is really serious in tackling the corruptions and pursuing justice to the perpetrators. I hope the good start will be continued by the next government, the next next government, so on and so forth. I hope I will still alive when Indonesia no longer infamous for its corruption. Finally, what do you think? Is Bali really that bad? 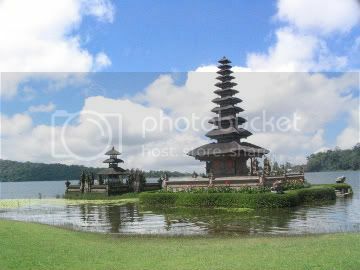 Did you have any bad experience when you visited Bali? I have lived in Bali for 3 years and after all the stuff that has happened to me being a single white female I would strongly advice to not travel alone. Police are so corrupt and nothing is really done about it, get use to being picked up just because you are white and paying even if you have an Indonesian licence. Immigration-if you have you passport stolen or your work visa expect to pay immigration for the privilege of holding you for 3 days then making you pay $2,500.00 just to get a stamp to exit Bali. Australian Consulate can only pressure the immigration but have no authority to really help you out of a sticky situation. Business-If you have a business expect to be ripped off. Police can walk into your store and take what they want or demand money. If you don’t comply expect to be deported and loose the lot. When you are robbed don’t expect any help from police unless you pay pay pay. Never go to the bank and take out to much cash-if you are on a motor bike and alone someone will be watching you and will take it. Scams in Kuta-ridding a motorbike alone make’s you a target. Someone will stop fast in front of you so you have no choice but to run into them. Then you will have to pay the person you have hit even if there is no damage. They all want to be your friend and are the nicest person you will ever meet until you don’t give them what you want. Then see the true person emerge. I can go on and on but I am packing my bags, have lost my business and heading back to my family and friends with no money, nothing to show for 3 years only the stories will come home with me. A book has just been released written by an Australian that has lived in Bali for ten years. It is a must read for anyone thinking of traveling to Bali or Indonesia. The is titled Bali Raw its author is Malcolm Scott published by Monsoon Books. Available in e-book or paperback can be found by typing any of these names into a Google search engine.